i carry your heart with me (i carry it in my heart) i am never without it (anywhere i go, you go, my dear) excerpt from ee cummings. 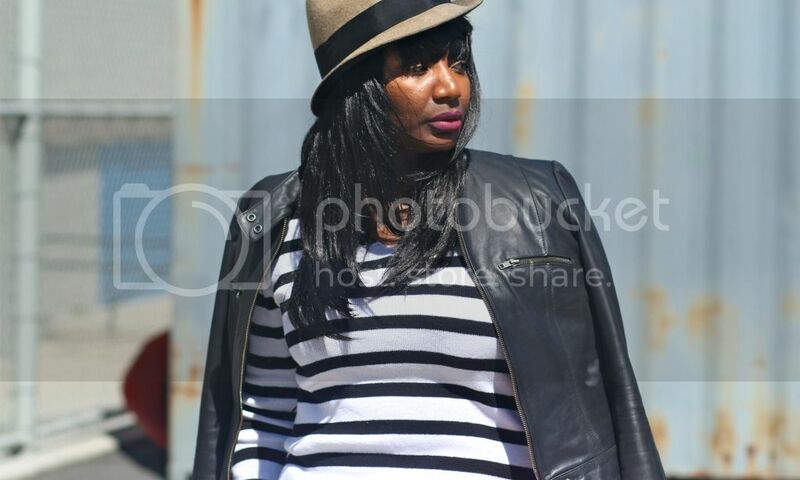 I am wearing thrift sweater and belt, Nine West leather jacket, thrift mens pants, Jessica Simpson sandals, Asos clutch. Hats, I have a few of my own but I never feel like wear them, maybe I should. 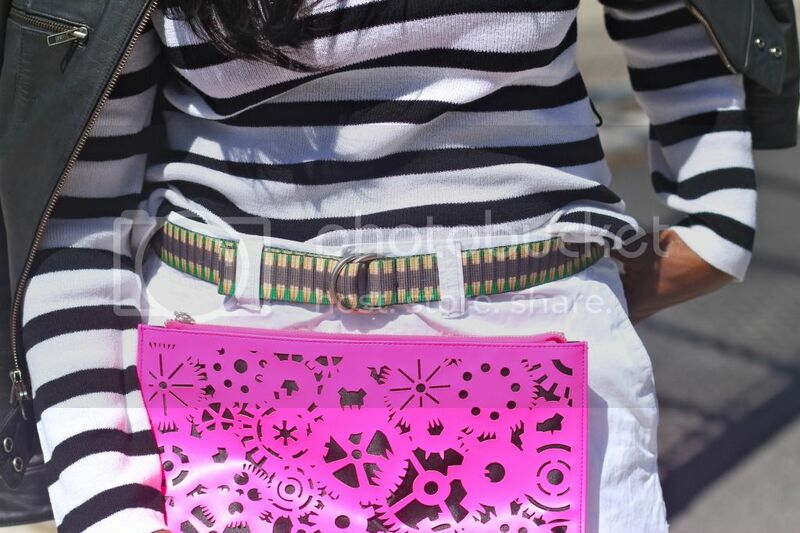 love love your clutch bag - you look awesome. Such a cute look! That clutch is ERRRTHANG!!!!! I like your posts very much!!! can we follow each other? 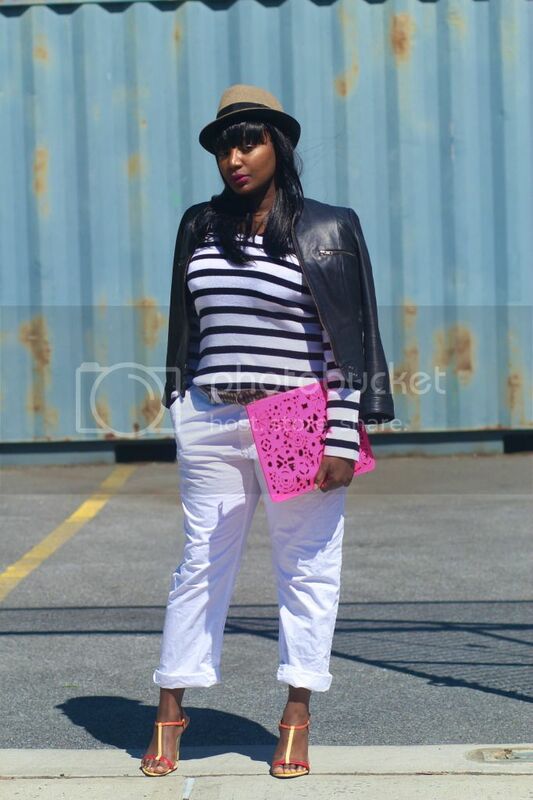 Love the clutch and the shoes with the stripes and white pants! Love the outfit and love your new hair more, you look too gorgeous in bangs...drop dead gorgeous. That cloth is insane! I love it! stunning look! those sandals are a dream!